1. 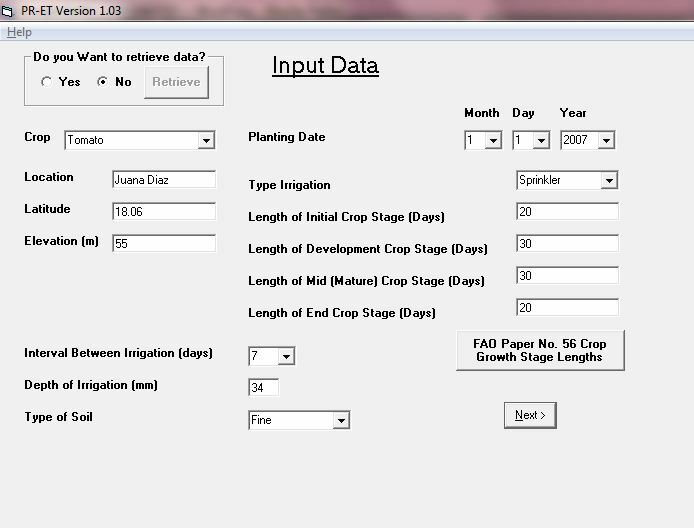 Download PRET from the following link: https://pragwater.com/crop-water-use/ Background documentation is available at this site which describes the methods used to estimate the long-term weather data. 2. Install PRET on your computer. 3. Run PRET. You will see the splash screen below. Click on OK.
4. 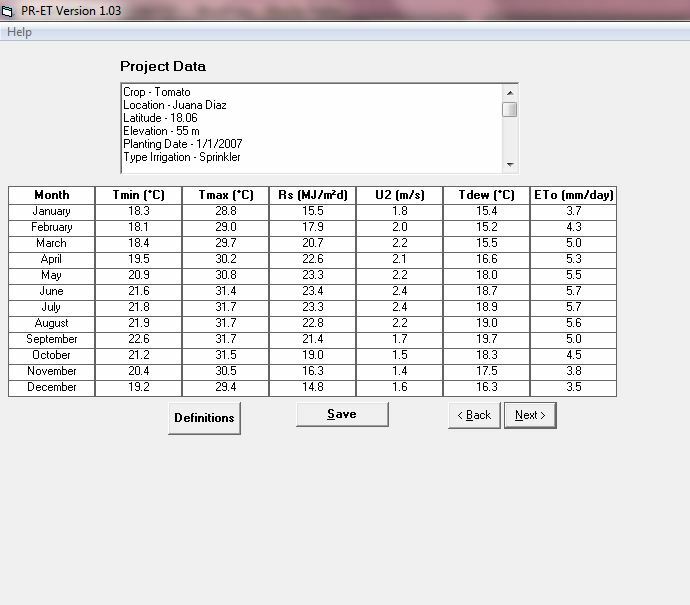 On the INPUT DATA screen, enter any crop from the drop down screen (e.g., tomato). Do not use “generic”, otherwise you will need to enter some crop coefficient information later. Enter the name of your location (e.g., Juana Diaz), enter your site latitude (e.g., 18.06) and your site elevation (e.g., 55 m). Ignore all other requested input on the page. click Next. 5. 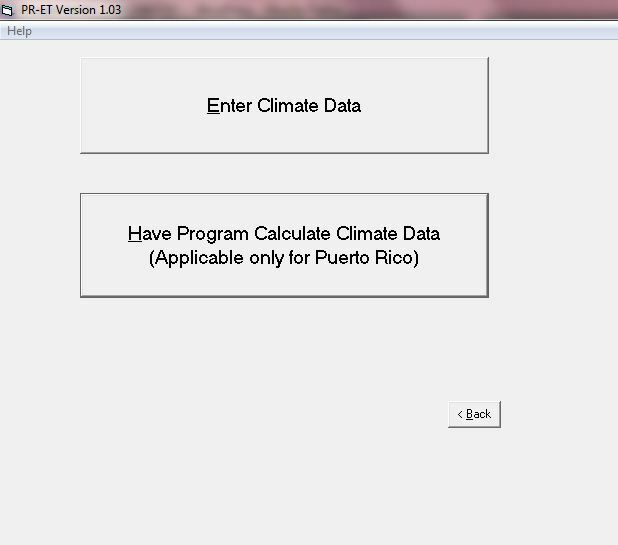 Click the icon that says “Have Program Calculate Climate Data (Applicable only for Puerto Rico)”. 6. 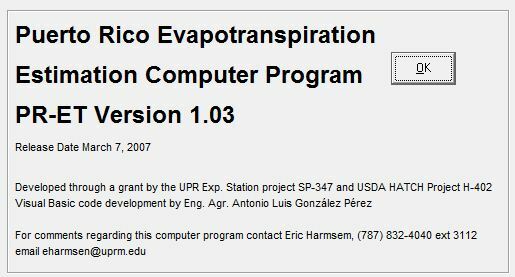 Click on the appropriate NOAA Climate Division. 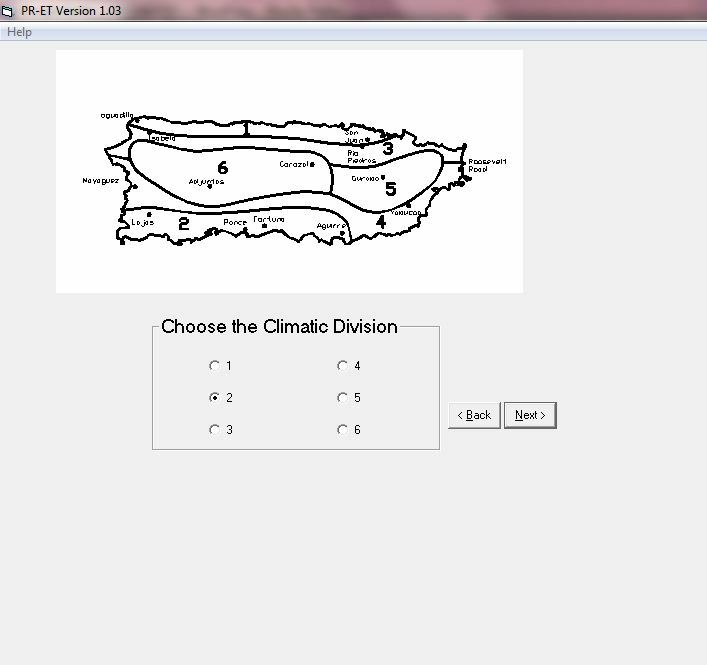 For example, Juana Diaz, PR, is in Climate Division 2. 7. The next page will give you the results of the long-term monthly weather parameters for your site. If you like you can save the data to a text file.